1917 Gigling Reservation is founded. 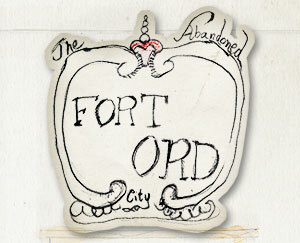 Army troops occupied the fort for a few months at the end of the Civil War when it was known as Ord Barracks. The 15th Infantry Regiment and the 9th "Buffalo Soldiers" Cavalry returning from duty in the Philippines were assigned to the fort in 1902. Camp Gigling was primarily used as a maneuver area for the 11th "Black Horse" Cavalry and a artillery target range for the 76th Field Artillery. During the summertime the 30th Infantry Regiment came down from the Presidio of San Francisco to use the reservation for maneuvers as did other Reserve and National Guard units. In the 1950s the US 6th Army was stationed at Fort Ord. In 1964 a Drill Sergeant School was opened. The total number of soldiers trained at Fort Ord from 1940 to 1975 is estimated at 1.5 million. The defense department first considered an all volunteer Army in 1971 with Project VOLAR. Starting in 1974, the 7th Infantry Division (Light) occupied Fort Ord. The fort officially curtailed all training archives in 1976. In 1985 the 7th IDL became the Army's premier light infantry division. In 1989 the 7th IDL was deployed to Panama to restore order and captured dictator Manuel Noriega. In 1990 the 7th IDL joined the coalition troops sent to the middle east to defeat Iraq during Desert Storm. One of their last deployments was to the 1992 Los Angeles riots. 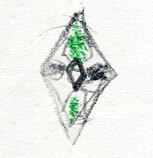 Two years later on 15 June 1994, The 7th Infantry Division Light was deactivated. In September of 1994 Fort Ord closed it's gates and became part of US military history.